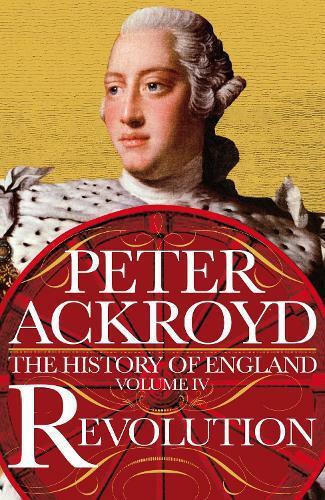 The fourth volume of Peter Ackroyd’s enthralling History of England begins in 1688 with a revolution and ends in 1815 with a famous victory. In it, Ackroyd takes readers from William of Orange’s accession following the Glorious Revolution to the Regency, when the flamboyant Prince of Wales ruled in the stead of his mad father, George III, and England was - again - at war with France, a war that would end with the defeat of Napoleon at Waterloo. Late Stuart and Georgian England marked the creation of the great pillars of the English state. The Bank of England was founded, as was the stock exchange, the Church of England was fully established as the guardian of the spiritual life of the nation and parliament became the sovereign body of the nation with responsibilities and duties far beyond those of the monarch. It was a revolutionary era in English letters, too, a time in which newspapers first flourished and the English novel was born. It was an era in which coffee houses and playhouses boomed, gin flowed freely and in which shops, as we know them today, began to proliferate in our towns and villages. But it was also a time of extraordinary and unprecedented technological innovation, which saw England utterly and irrevocably transformed from a country of blue skies and farmland to one of soot and steel and coal.